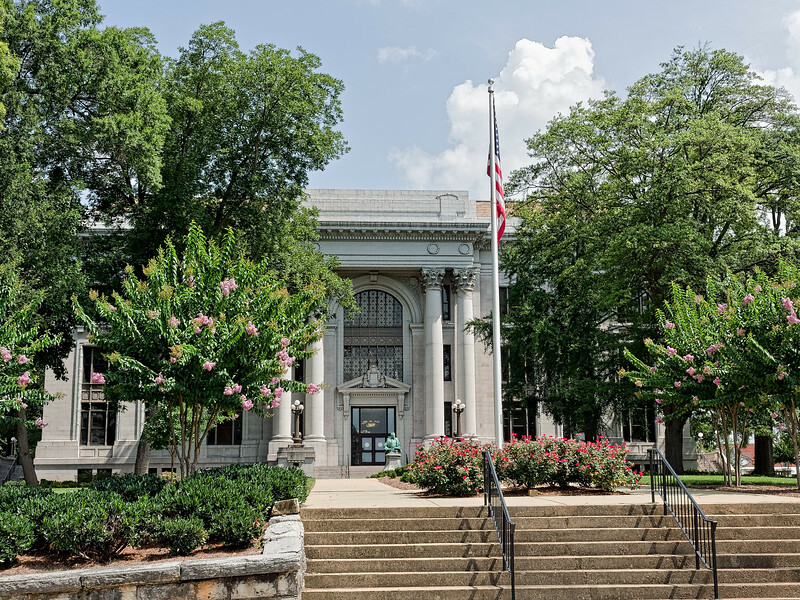 Hamilton County Courthouse in Chattanooga was dedicated in 1913. It stands where the earlier structure had been struck by lightning in the violent storm of 7 May 1910. It features Tennessee gray marble, a glazed tile roof, and a colored-glass dome.